Everyone has an Ernest P. Worrell character in their life: the kind of acquaintance who pops up out of the blue like a chatty Whack-a-Mole, ready to ramble on about nothing in particular. For me, it’s my childhood next-door neighbor Zac, who was blessed from a young age with the ability to tell massively tall tales without batting an eye. Not unlike Ernest, Zac was gangly, awkward and eager to please — to hear him tell it, he had done it all by age 8. He’d auditioned for Space Jam. He’d met the (ahem, fictional) Roald Dahl character Matilda. His mom was actually (not actually) dating Billy Ray Cyrus. When my dad was given a framed Belle du Jour poster to hang in his office, Zac coolly mentioned that he had seen Belle du Jour a bunch of times — on Broadway — and flown there on a private plane from our rural Kentucky hometown. Spelled out on paper, Zac might sound maddening, but in real life that wasn’t the case: All things considered, he was endearing in his fibs. His antics were completely pure in motive — he wanted to be liked!— and it was impossible not to relate on some level to his desire to be a larger-than-life, more interesting version of himself. 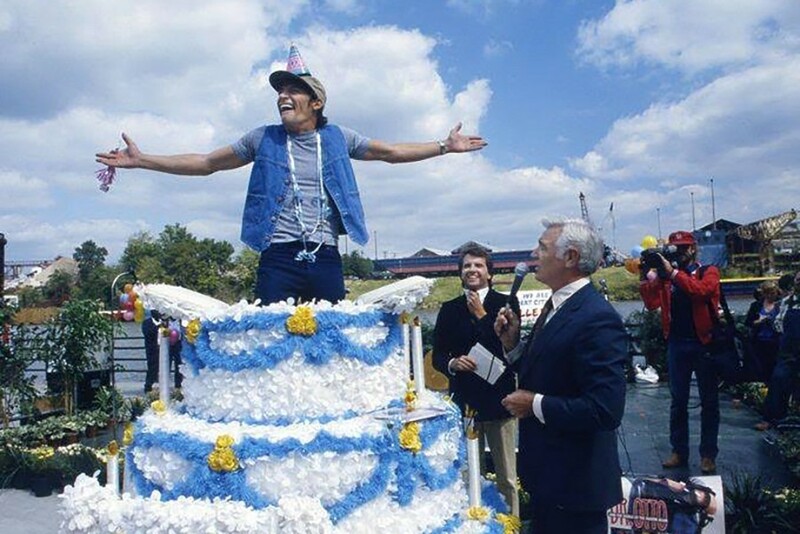 And although I didn’t realize it until years later, this heartfelt overzealousness closely mirrored that of Ernest: the most misunderstood, relatable pop-culture icon who’s ever worn a blue-jean vest. Ernest quickly became a cult icon that extended far beyond slapstick jokester. Shot with a wide-lens camera that distorted Varney’s close-up expressions to make viewers feel as if the character was downright breathing on them, Ernest was your friendly, annoying-as-hell guy next door. And you know what? People loved it. Ernest gained such popularity that he became the first — and perhaps only — advertising character to find success both on television and in film, eventually making 10 Ernest films and a television show. His fierce loyalty among fans has yet to wane. Today, two decades after the last Ernest film hit the big screen, tribute websites abound, with one particularly amusing iteration decorated with every possible kind of swirling clip-art, Comic Sans, conspiracy theory link and Ernest oil painting possible. Duke University even plays host to an entire collection of archived Ernest paraphernalia, including dolls, towels and an obscure pre-Ernest Varney film called Dr. Otto and the Riddle of the Gloom Beam. Facebook groups offering giveaways of Ernest novelty gifts, such as masks, attract thousands of salivating enthusiasts. His legacy has endured — but why? “Why is he so popular?” John Cherry III stops, thinking. Cherry is the long-retired Nashville ad man who created the Ernest character. “Well, because people operate on a few different levels. There’s the personal — the spiritual — level, which is what we think about ourselves. The big question there is, ‘Do you like yourself?’ Then there’s our relationship to other people. Ernest wants to be Vern’s friend so badly. You can see it in his face and feel it in every move he makes. But a truth about yourself is always the hardest thing to stare in the face, and for many people, Ernest’s overly eager antics initially struck an uncomfortable chord. When advertisements for the character first appeared in the (largely rural or suburban) markets, viewers would balk at what they believed to be a mockery of their small-town culture: Who the hell is this fool? Soon, though, they would come to realize that they actually knew someone like Ernest: A cousin who’s always trying to work a get-rich-quick scheme; a harmless uncle who won’t stop clipping coupons for various lunch buffets around town. And, eventually, they’d begin to see a little bit of themselves in the goof. After Ernest’s triumph with Purity, commercials featuring Varney’s alter ego were commissioned everywhere, initially focusing on products and services that were hyper-local and part of day-to-day life: regional milk chains, local news broadcasts, grocery stores. (Later, major players like Sprite would come calling.) Thanks in large part to Varney’s photographic memory and ability to do any number of takes in one day (sometimes upwards of 25), each ad felt as if it had been crafted specifically for a local audience, adding to the sense of intimacy that viewers were able to quickly build with the character. The connection ran so deep between Ernest and those watching that many people believed that Varney was just some guy from their community doing a low-budget spot. But to write off Ernest as a brilliant creation for product-hawking is to undersell the character’s wide-reaching influence and, ultimately, decades-long staying power. Ernest served as an important bridge between the sitcoms lost in the network TV “rural purge” of the early 1970s (Petticoat Junction, The Beverly Hillbillies, The Real McCoys) and country-fried comedy favorites of the ’90s and 2000s like Jeff Foxworthy and Larry the Cable Guy, helping to define what “country” looked like for a generation. And when you get past the “aw shucks” trappings, Varney’s skill in achieving this — making Ernest a relatable success, not just a clown — is considerable. He has a physicality that’s on par with greats like Jerry Lewis, theatrical dexterity that would make even the greatest improviser blush, and an almost Shakespearean ability to convey a low-key sense of pathos and depth behind a goofball exterior. Varney’s gift for relating to his audience through the Ernest character was extraordinary, and for many, it was likely the first time they saw someone a little like themselves on TV… whether or not they’d like to admit it. Behind his frenetic and puppylike enthusiasm, Ernest is struggling for acceptance, just like all the rest of us. But even after immense commercial and monetary success — an Emmy, multiple films grossing well over $25 million in box office sales, legions of fans — Ernest was considered a hick and a gimmick by many of the traditional media powers-that-be: Tom Brokaw, for instance, dismissively called him an emblem of “redneck selling power” in a 1985 news feature — while footage of Varney reciting Hamlet rolled in the background. And while the Ernest films (Ernest Goes to Camp! Ernest Goes to School!) were more suited to a child’s sleepover than the Oscars, Varney’s perpetual B-list status reflects a larger cultural resistance to recognize characters with a twang as an anything more than a novelty. Ernest — and perhaps even Varney — will always be country first, a comedian second. Even advertising scholars seem less than enthused about his legacy. When I asked Jeff Bresmer, the executive creative director of the Advertising Icon Museum in Kansas City if he believed the Ernest character was an advertising legend — after all, what other commercial character creation has gone on to build a successful movie career? — he balked. In a cookie-cutter subdivision just outside of Versailles, Kentucky near Varney’s hometown of Lexington, I spent an evening in the kitchen of Justin Lloyd, Jim Varney’s nephew and author of the book, The Importance of Being Ernest: The Life of Actor Jim Varney. Lloyd had two shiny objects set on his countertop for me to ogle: Varney’s Daytime Emmy award (the first I’d ever held in my hands) and a bottle of wine with a label featuring Slinky Dog from Toy Story, which Varney voiced. The stream of novelty items for Varney’s characters, it seems, is endless. Lloyd is nothing short of a scholar about the life of his mother’s brother, showing me how their family tree can be traced back to the Hatfields (of Hatfields-and-McCoys fame) and later sending me clips from Varney’s wedding, where the actor sang obscure songs like “Tonight We Own the Moon” by Fats Waller. Varney, in Lloyd’s telling, was something of an eccentric — Lloyd told tales about how his uncle loved to cruise to the gas station for cigarettes blasting Vivaldi, or show off his extensive collection of pocket knives. And Varney, Lloyd said, was always talking about his weird friend Billy Bob long before Slingblade (and matching blood vials with Angelina) catapulted Thornton into superstardom. But Varney contained depths, too. He was a wildly talented Shakespearean actor who would get a little drunk and start reciting from Henry V at a local bar. If you look closely, you can see that the Ernest movies (which Varney always had a hand in scripting) contain a wild swath of cultural Easter Eggs and sly references: a pair of elves named Pyramus and Thisbe (a la Ovid’s Metamorphoses) in Ernest Saves Christmas; a montage of esoteric horror B-movies (Nosferatu, The Killer Shrews, Little Shop of Horrors) in Ernest Scared Stupid. Varney was also a fairly talented musician and, never one to shy away from his roots, once brought an Appalachian dulcimer to an appearance on the short-lived Chevy Chase Show in 1993. And it wasn’t the first, or last, time more conventional actors and comedians were taken aback by Varney’s talents. As the 1990s wore on, Varney would begin to take on roles beyond his Ernest persona, not only voicing Slinky Dog, but securing roles in films ranging from the 1998’s Daddy and Them — alongside the likes of Ben Affleck, Laura Dern and Andy Griffith — to the low-budget 1997 Sundance film 100 Proof. Clownish, serious, up, down or sideways, Jim Varney had the vaudevillian ability to do it all. 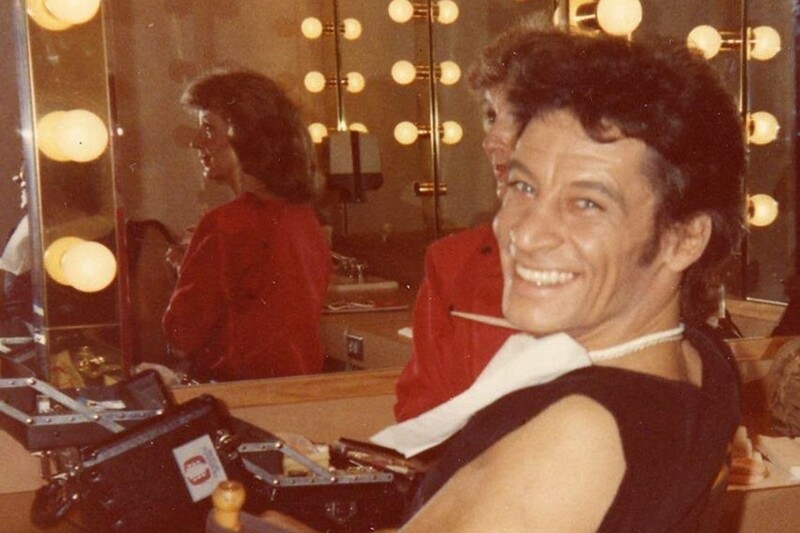 Jim Varney passed away in 2000, at the age of 50, at his home just outside of Nashville. A longtime chain-smoker, he died of lung cancer just a couple of years after recording a harrowing anti-smoking PSA. And on a frigid January afternoon, I made the pilgrimage to his grave inside a sprawling Lexington, Kentucky cemetery, where it wasn’t hard to recognize which grave plot belonged to the man who played Ernest. And, boy, if they hadn’t been coming in droves. Perhaps the most poignant memento was an awkwardly framed handwritten note from a woman who wrote that Varney’s humor was the only thing that made her feel better when she was sad as a child. I winced, knowing the feeling all too well. When comedy is good, it has the ability not only to entertain but to comfort. There’s an empathy that takes root in the belly when watching Ernest, even as he pratfalls his way into over-the-top shenanigans. Funny is the baseline, sure, but there’s the wink-and-a-nod understanding that this guy is also the friend who’d bail you out of the pokey at 3 a.m., no questions asked. Heaven knows, we all need a friend like that.